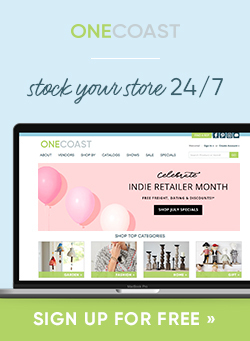 Welcome to the OneCoast Blog! I am so happy that you are taking the time to read it. After all, I did not want to do an average job. I wanted to do a GREAT job. And, it was that thinking that lead me back to the tag line. I am excited to be the first “blogger” and I have been thinking about what I should write about.I have been using in my signature block for about 2 years: “Be GREAT Today!”. I have been asked multiple times about meaning of “Be GREAT Today!” Many have talked about “the devil being in the details”. “Be GREAT Today” is another way to state that. When you focus on “Being GREAT Today”, it means that every activity that you do in a day- no matter how large or small of an activity-, you work to do it in a great way. And, if you do every activity in a great way….. you will be great that day. And, if the “Be GREAT Today!” approach occurs day after day after day, just think about how great your performance would be! OneCoast works hard at living by these three words. These three words “Be GREAT Today”- are our goal every single day. It’s what gives us the drive to go above and beyond, do the right thing for our retailers, for our vendors and for each other as a team. It’s a personal and professional reminder of being great every day. For our sales team, it is about being a partner to you our retailers, understanding your business and spending the time needed to help you be GREAT for your customers. Treating you like the one and only customer. For our marketing team, it is about finding ways to provide beneficial resources that can be helpful in your everyday business. For our Showroom and Merchandising team it is about going above and beyond to create inspiring displays that you can take back and re-create. For OneCoast, it is our way of being and our way of reflecting our company culture and the foundation of our core values. What would it mean to you and your business if every activity that was done in your store(s) in a day were done in a GREAT way? Perhaps your customer service would reach Zappos level! Perhaps each customer would tell a friend what a fabulous experience they had in your store and your customer count would increase. Now, we are all human, and greatness in every activity every day sets the bar pretty high. But one thing is certain, if we do not aim for it, we definitely will not hit it. And, the flip side is true…..if we focus on “Being GREAT Today” each and every day, we will be great more days than not. I am grateful to have this platform to talk about the three words – “Be GREAT Today”- that really sum up who we are and what we strive for We hope you find this blog page a helpful tool for your business and another reflection of our continued effort to simply be GREAT. John Keiser, CEO of OneCoast, has over 30 years of industry experience, working for both American Greetings and Enesco prior to joining OneCoast in 2003. He has been active in the Gift and Home Trade Organization (GHTA) serving as the Vice President of the organization in 2012, the President of GHTA in 2013 and currently serves as Chariman of the Board of the organization. 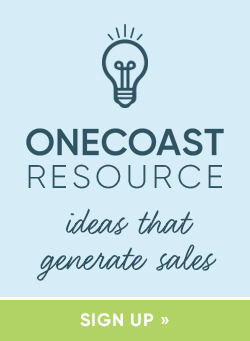 Share the post "Welcome to the OneCoast Blog!"